Food brands, entrepreneurs and innovators are being invited to collaborate and come together as London plays host to the inaugural Food Technology Week, starting on October 16. A number of curated events will be held throughout the capital in a bid to showcase new ideas and tackle some of the biggest challenges faced by the food and agriculture industry today. Speakers will include Richard Reed of Innocent Smoothies and Apprentice star Nick Holzherr, founder of Whisk. The week will kick off with a live panel discussion at the Hoxton Hotel on how to make the transition from a small offline food business to an “ethical online empire” led by FoodBusker and the Jamie Oliver Group. Jamie Oliver, who is endorsing Food Tech Week, will provide a video introduction to the event. Other events taking place will include a food and agriculture technology sustainability hackathon at WeWork Moorgate, the TEDxHackney Future of Food event at the Ace Hotel, a pitching event for foodtech start-ups hosted by SeedCamp at Google Campus, and a Food of Genius event to be held at a secret location. 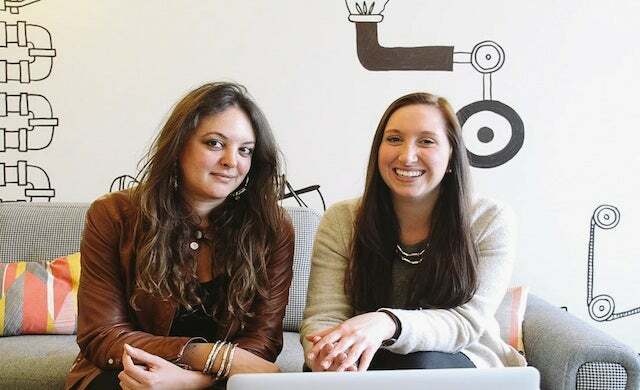 Victoria Albrecht and Nadia El Hadery (pictured), co-founders of London Food Tech Week, commented: “Food is one of the most important economies in the world, and technology is essential to driving scalable, global and positive progress.